Synthetic peptide (KLH coupled) corresponding to C-terminal residues of human Akt. Akt (protein kinase B, PKB) is a serine/threonine protein kinase. 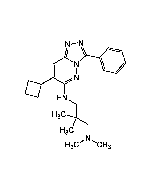 Akt is activated by PI3 kinase, which is itself activated by tyrosine kinase (Thr308, Ser473). Akt/PKB controls vital cellular functions such as cell survival/apoptosis, cell cycle progression and glucose metabolism. It also acts down-stream from growth factors and hormones. Akt/PKB can inhibit cell cycle arrest by phosphorylating p21. Also, Akt/PKB may potentiate cell cycle progression through increased translation of cyclin D. Akt/PKB directly affects the apoptosis pathway by, for example, targeting the pro-apoptotic Bcl-2 related protein, BAD. 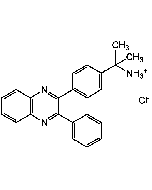 It also can phosphorylate three kinases upstream of SAPK. The SAPK system consists of two groups of kinases, and JNK and p38 MAP kinase pathways. The SAPK pathway is an important target for Akt/PKB regulation to promote cell survival. Akt/PKB is able to regulate cell survival through transcriptional factors (Forkhead, nuclear factor-κB (NF-κB), Murine double minute 2 (Mdm2)) that are responsible for pro- as well as anti-apoptotic genes. One of the first physiological targets of PKB to be identified was glycogen synthase kinase-3 (GSK3), which has been associated with the control of many cellular processes, including glycogen and protein synthesis, and the modulation of transcription factor activity. The involvement of Akt in disease processes like malignancy, neurodegeneration and abnormal glucose metabolism has also been demonstrated. General protein kinase capable of phosphorylating several known proteins. Phosphorylates TBC1D4. Signals downstream of phosphatidylinositol 3-kinase (PI3K) to mediate the effects of various growth factors such as platelet-derived growth factor (PDGF), epidermal growth factor (EGF), insulin and insulin-like growth factor I (IGF-I). Plays a role in glucose transport by mediating insulin-induced translocation of the GLUT4 glucose transporter to the cell surface. Mediates the antiapoptotic effects of IGF-I. Mediates insulin-stimulated protein synthesis by phosphorylating TSC2 at 'Ser-939' and 'Thr-1462', thereby activating mTORC1 signaling and leading to both phosphorylation of 4E-BP1 and in activation of RPS6KB1. Promotes glycogen synthesis by mediating the insulin-induced activation of glycogen synthase.